ISLAMABAD: In an attempt to make things more coordinated between the Election Commission of Pakistan and the media, the electoral body on Tuesday appointed a focal person who will now be the link between the ECP and the media. 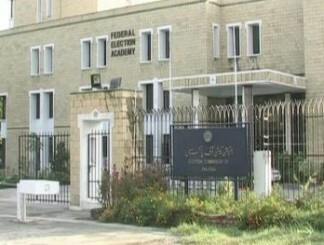 The ECP has also barred its officials from giving statements directly to the media. The move comes in response to repeated requests made by media personnel that the ECP should not limit itself to providing information of the commission on an individual basis. They insisted that a focal person should be appointed who could coordinate with them. An ECP official, however, told The Express Tribune that inaccurate reporting of many election-related developments and recent unpleasant incidents involving some media persons and commission officials has led to the restriction. The official complained that many stories were wrongly attributed to the officials of the commission without any verification of facts. While elaborating the ECP’s plans, its media coordinator said that officers were advised to strictly follow the channel of providing information to the focal person, who would later send it for dissemination, instead of communicating the updates directly to the media. He added that appointing a focal person to deal with the media will help media personnel with questions or for interviews. However, he said that discipline and security will not be compromised in the process. 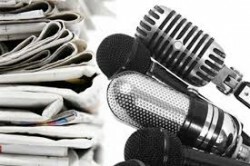 The commission clarified that the electoral body has always taken concrete steps to facilitate the media. It said that special arrangements were made to facilitate access to the media subject to reasonable restrictions in the interest of working of the ECP, as well as to streamline the procedure with regard to provision of information to the media. 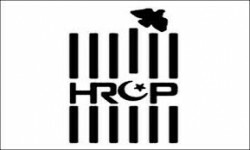 Dispelling media reports that the ECP had banned entry of journalists in the premises of the commission an ECP press release stated, “An impression is being created by some media reports as if the Election Commission has closed its door on media which is not correct and contrary to the factual position”. Meanwhile, the commission has also transferred 78 appeal cases to another election tribunal. The new Appellate Tribunal appointed by the ECP comprises Justice Anwarul Haq and Justice Mahmood Maqbool Bajwa.